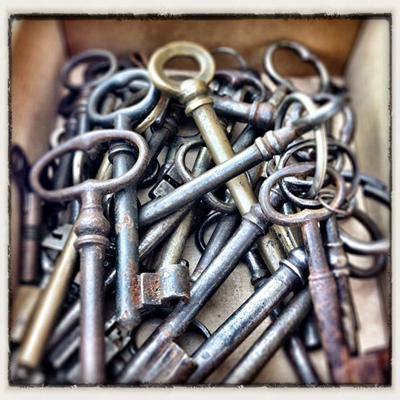 The Keys to a Successful Fundraiser! Do you want to find out what makes a successful fundraiser? I sure did when I was starting out with fundraising. And it took me a while to figure it out, but I finally got it. I'm going to show you what the 4 keys to successful fundraising are. I'll also be giving away a bonus to you showing what some of the most successful fundraising ideas are, that you could possibly use! But what makes a fundraiser really successful is not necessarily the actual idea but rather how you organize and execute that idea! There are generally four things that will decide whether your fundraiser is a success or not, obviously with lots of minor details within those four aspects. Think of it this way... An event or product that is popular or in demand with your supporters and potential supporters will get far greater support, participation, and purchases than one that is not. If your supporters hate soccer, then why have a Soccer Tournament Fundraiser... Rather have a Basketball Tournament which they absolutely love. Get the point?!? Think this through carefully and choose fundraisers that your members, supporters, and potential supporters can get excited, passionate, and motivated about! Being properly organized and prepared so that your whole fundraiser runs smoothly when you execute it will contribute hugely to its success. It will also mean that you have brainstormed every aspect of the fundraiser to make it as effective and profitable as possible! And have strong accountability amongst your whole fundraising team! Organize your fundraiser to be the most successful it can be! There is so much more to benefit from your fundraiser than just the funds raised. And often there is far more to be raised from a fundraiser than you first think. Or... You could sell car wash vouchers for weeks before the event to guarantee you have funds raised from the car wash, instead of just hoping that people will arrive on the day. You can then sell refreshments at the car wash for additional funds and potentially other fundraising products like your organization apparel. Then what about having a short questionnaire to find out more about your supporters and to see what other fundraising events/drives they would be interested in taking part in... Or if they would be interested in making a small monthly contribution. Get the point I hope!!! Yes I have and for very good reason. So, make sure that you have a solid promotional strategy that is targeted and effective, and that will raise the right exposure for your fundraiser to get the support/participation it needs to be a success! For ideas on promoting your Fundraiser go here. Got a Fundraising Success Story? Then please share your successful fundraiser over here. Tell your story and tell us why it was such a success!! And don't forget to get your list of the ﻿Most Successful Fundraising Ideas... Click here.